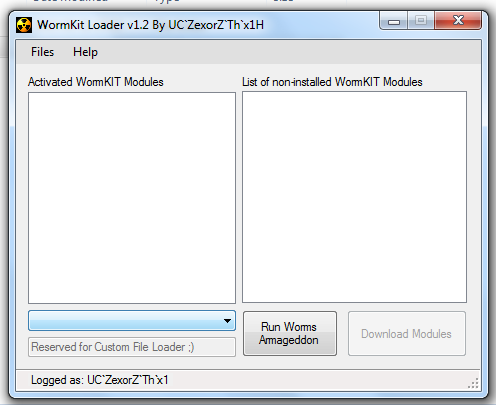 Advanced WormKit is a GUI interface which allows a user to quickly activate or deactivate WormKit modules before starting Worms Armageddon or Worms World Party or Worms 2. Besides the main feature, this Advanced WormKit module loader allows choosing between several W2, WA and WWP executables (see the Installation and notes section) and recognizes their version. It also automatically closes itself while Worms is running. A WormKit module downloader is planned, and more suggestions can be contributed by users in the discussion thread.